Daryl Bryant of Madison, was born on May 23, 1977 to two loving and fantastic parents. Daryl grew up with an older sister, and lived in a small rural New Jersey town, called Byram Township, for seventeen years. Daryl had a very active childhood and teenage years, loving sports and participating in football, basketball, karate, wrestling, and tap dancing to name a few. In addition, Daryl also enjoyed golf, Jiu-Jitsu, hunting, and more. Daryl always had a passion for his active lifestyle, whether it was with a team or playing alone. Football was his greatest passion, and in high school his team made it to the state finals two years in a row. Despite losing in the finals his senior year, the team managed to make it to Giants Stadium for a once-in-a-lifetime opportunity. After high school Daryl was accepted into Montclair State University. During his time at MSU, Daryl developed many close relationships and stayed active through his college years; additionally, Daryl was heavily involved with his college fraternity. In 2000, Daryl graduated with degrees in computer science and mathematics. After college, Daryl was hired by a software company in New York City. The company developed a proprietary user-sensing technology that provided training and statistical analysis for large-scale corporate applications such as PeopleSoft, IBM, SAP, and Kraft. Starting as a solution developer, Daryl quickly advanced in responsibility, taking on managerial and technical sales responsibilities. After only one year, Daryl was promoted to quality assurance manager and then to lead sales engineer. His main responsibility was to provide outside technical sales assistance to the sales team. In addition, he also prepared and delivered corporate presentations, technical demonstrations, and product training to an international audience of prospective and pre-existing clients. 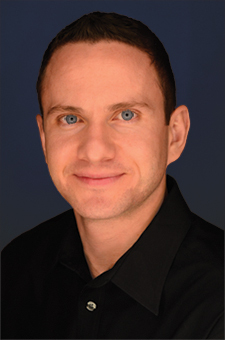 During the burst of the Internet Bubble in 2002, Daryl left the NYC-based company and established Hudson Horizons, a professional Web site design, development, and Internet marketing agency that provides innovative and quality services to businesses and corporations of all sizes. Over the last eight years, Hudson Horizons has transformed into a top-ranked company. Hudson Horizons has been ranked the number one Web development firm by a leading industry authority for two years and counting. The agency has also been listed in the Crain’s New York BtoB Magazine Top Agency list. With the office headquartered in Saddle Brook, NJ, and a second office in Manhattan, NY, Hudson Horizons has turned into a nationally recognized agency. At Hudson Horizons, Daryl oversees the operations of the company, with his main focus on assuring that Hudson Horizons continues to expand and remains at the top. Since the Web industry is constantly changing, Daryl and the Hudson Horizons’ team must strive to keep the Web development agency ahead of the curve while continuing to produce innovative technology, and cutting edge services and solutions to customers. In addition, Daryl serves as a role model for his employees and aims to inspire his team through good work ethic, team-building events, and industry seminars. Daryl was first diagnosed with MS during his time at the software company in NYC, but chose to deny his symptoms until shortly after beginning Hudson Horizons. The symptoms of MS could easily have stopped him in his tracks, but Daryl’s proactive role in his life and positive outlook prevented MS symptoms from taking over. Today, Daryl is a happily married man to his wife Shannon who is a New Jersey family photographer, and father to his sons Jack and Henry. Daryl Bryant is an entrepreneur and a very active individual in his Madison, NJ community. 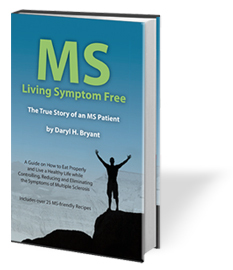 He is living a happy, healthy and successful life with MS and would like to inspire his readers that they can do the same. For more information on the book, please visit MS Book.